Well, the calendar says March 1st, but it's snowing here in the Shenandoah Valley, so who knows if Punxsutawney Phil lied to us or not. But regardless, I'd like to tell you about a sale that I and 30 of my fellow authors are doing. It's called the Swords of Spring Sale, and all books (and even 7 box sets) are on sale for just $0.99. Doesn't that sound like a great time to pick up something you've missed or to try out something new? 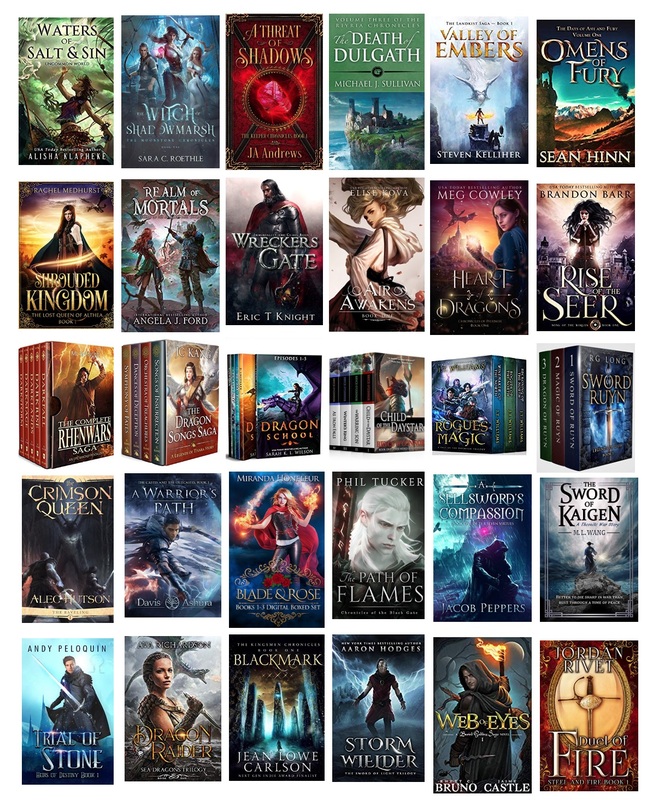 Heck if you spent the $29.70 to get all the books, you'd receive 52 novels so that's just $0.57a book! The group rounds out to 5 USA Today Bestsellers, and one New York Times Bestseller - that's me! I have The Death of Dulgath for sale at 90% off it's usual $9.99 price. Here's the list of what's on sale, and as you can see there are a lot of choices. I'll be back tomorrow with some stats about each author, but please head on over to the sale and pick out your favorites. But hurry, the sale ends March 7th, so you only have a week. Do you have nay suggestions on the books offered during the sale? There are so many to choose from. nice article, use below link to download more videos in YouTube.